Kids Vision for Life-St. Louis (KVFL) has added a new state-of-the-art mobile eye clinic just in time for the 2015-16 school year. The new van will increase access to students in need of these services at more schools than presently served. KVFL will continue to partner with the UMSL School of Optometry in using their mobile eye clinic on a part-time basis. KVFL has served un/underinsured students at local elementary schools during the past six years through an effective school-based model that delivers free comprehensive vision care. During the 2014-2015 school year KVFL screened 23,500 students, which resulted in KVFL examining 3,400 students and prescribing/fitting 2,750 eyeglasses. KVFL and its vision health partners, including ARCHS, expect to permanently increase KVFL’s annual service capacity with the new mobile clinic. On any given night, about 57,000 children under the care of our nation’s child welfare systems are going to bed without the care and comfort of a family. 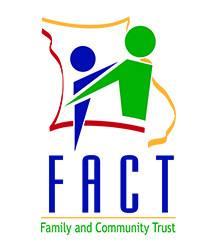 In its May 19, 2015 KIDS COUNT® policy report, Every Kid Needs a Family: Giving Children in the Child Welfare System the Best Chance for Success, the Annie E. Casey Foundation highlights this and other sobering statistics that point to the urgent need to ensure, through sound policies and proven practices, that everything possible is being done to find loving, nurturing, and supported families to help raise more of these children. Specifically, Every Kid Needs a Family emphasizes making and keeping a lifelong connection to a family. 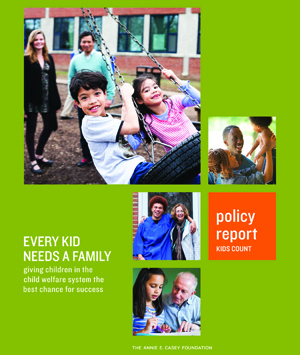 The report also highlights the promising ways that state and local government leaders as well as policymakers, judges, and private providers can work together as they strive to help these 57,000 children who are living in group placements – and overall, the more than 400,000 children in the care of child welfare systems. The U.S. Department of the Treasury highlighted the leadership role ARCHS is playing in the national implementation of a new retirement savings program. 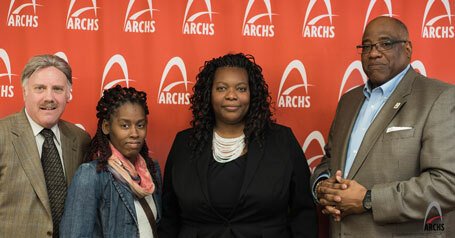 On April 20, representatives from the U.S. Treasury and Federal Reserve Bank of St. Louis visited ARCHS to acknowledge ARCHS' support. To date, more than 15 early childhood programs that ARCHS provides strategic technical assistance and professional development to have signed up to offer the program to their employees. The U.S. Treasury has developed myRA (my Retirement Account), a new retirement savings account, to help people save for their future. Pictured (left to right) Rick Corrigan - U.S. Treasury Program Specialist, LaTanya Draine - Kidz Learning Zone; Ingrid Taylor - Federal Reserve Bank of St. Louis; and Wendell E. Kimbrough - ARCHS' Chief Executive Officer. In April 2015, the Missouri Department of Social Services conduced on-site programmatic and financial audits of ARCHS' early childhood and after school programs. The audit included intensive reviews of program processes, reports, and financial records to verify that ARCHS adheres to the very detailed scopes of work required by the state and various licensing agencies. ARCHS' early childhood and after school programs annually serve more than 2,500 children. ARCHS welcomes Miles Gaudet to its staff as Communications Specialist. He will help ARCHS tell the stories of how it annually improves the lives of more than 90,000 St. Louis' most vulnerable children and their family members. 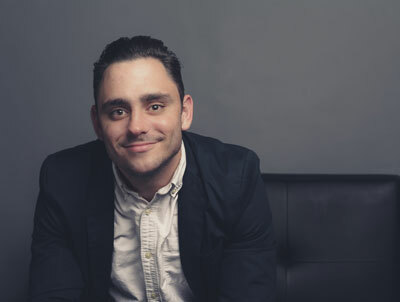 He brings to ARCHS a background in public relations, marketing, advocacy, photography, and videography.